Fun fact – 70% of the soil on your clothing, sheets and towels is invisible. All that human matter, sweat, soap, deodorant and so on is unseen to the naked eye. 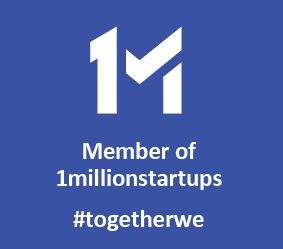 To disgust you more, the average person produces about a litre of sweat a day. Doing the laundry sounds quite appealing right now, doesn’t it? 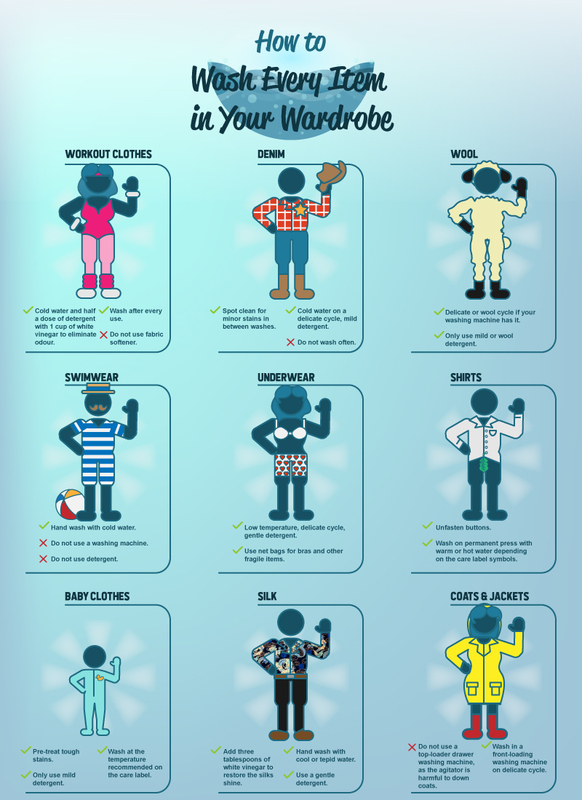 Unfortunately, 9 out of 10 Brits don’t know how to wash their clothes properly, if you’re one of the nine, you need to know how before you ruin any more clothes. Shockingly, in the UK, we damage an average of 10 clothing items per year. 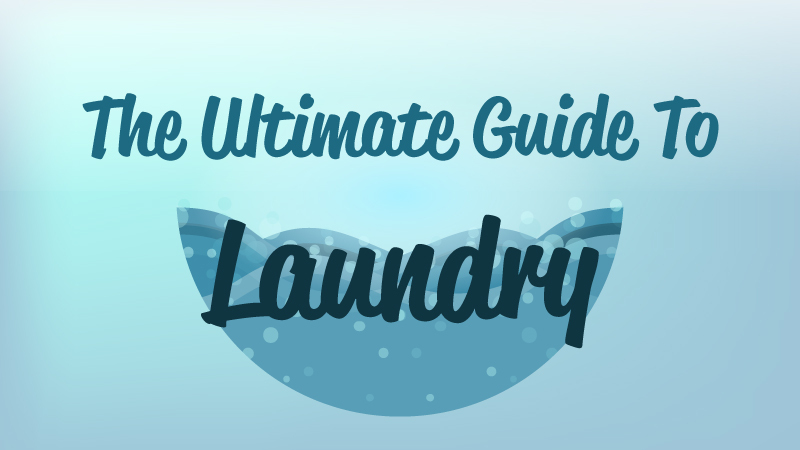 Luckily, Workwear Giant have uncovered the ultimate guide to laundry. It features everything you need to know about doing the washing, so you can make sure that ‘clean’ shirt is actually clean and learn how to avoid any laundry mishaps. Pre-treating stains can save your clothes from a disaster. If you leave a stain untreated and put it in the washer, the heat from the water can set the stain permanently. 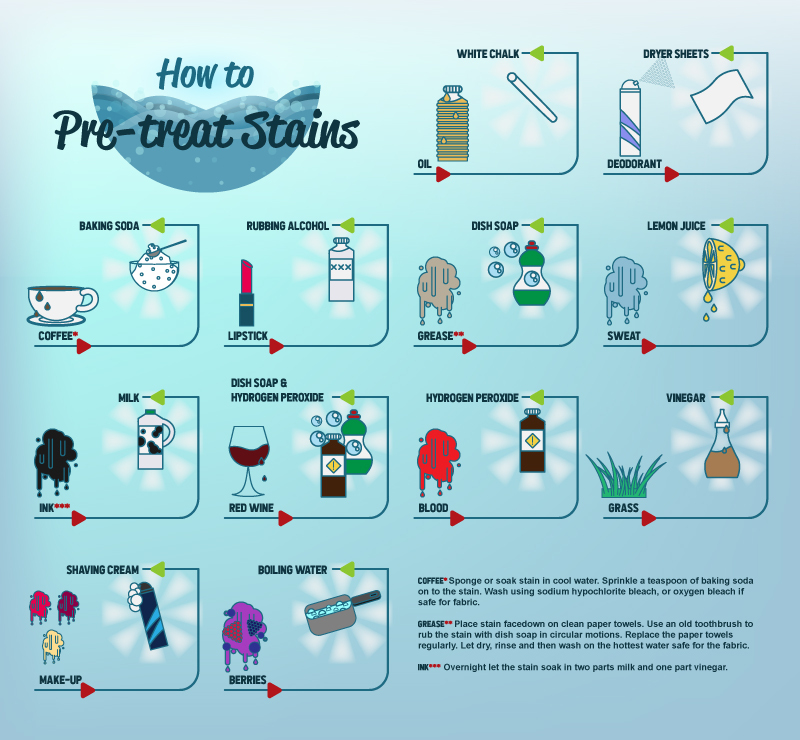 Find the stain on our chart to discover how to treat it properly. 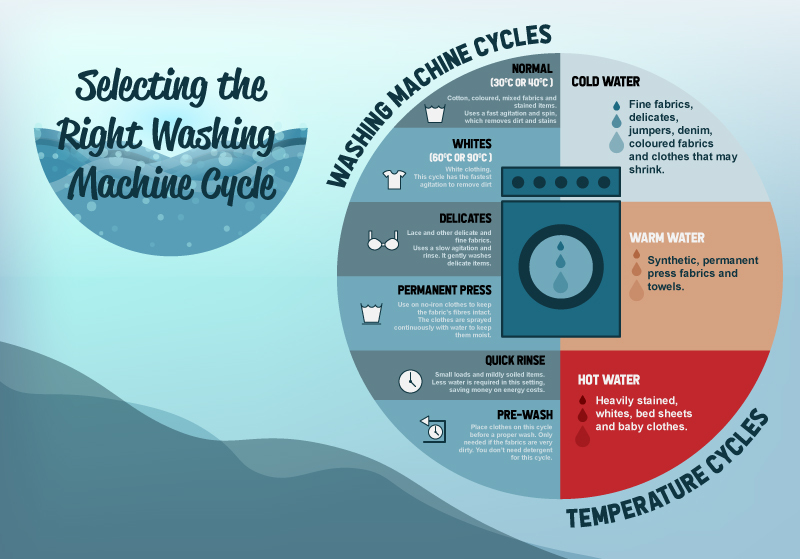 Washing machine settings can be confusing to a novice, especially when some machines have so many different cycles. If you choose the wrong cycle, your favourite jumper could be ruined. 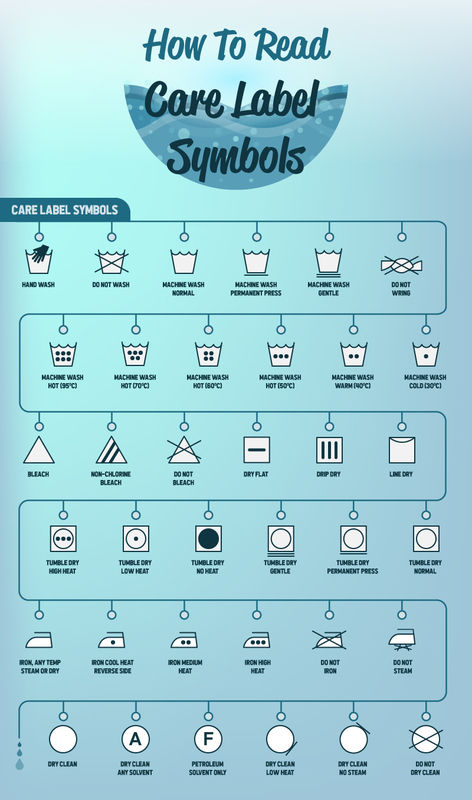 That’s why it’s important to read the care label on each laundry item, and use our helpful guide below. Not every piece of clothing you own needs to be dry cleaned. It’s more than likely that most items of clothing can be washed right at home. With the right attention and care your clothes can be cleaned thoroughly without any damage. 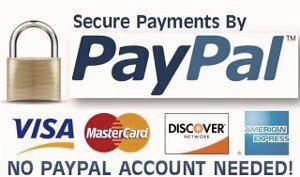 Use our guide below to find out how. 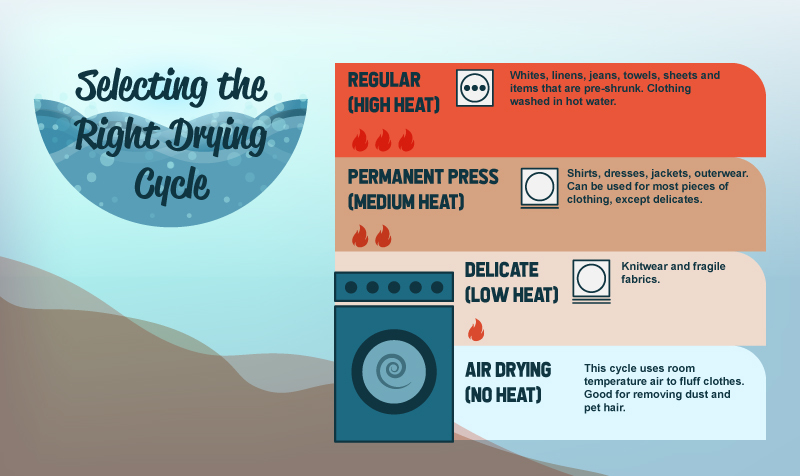 Dryers can be expensive to run, and if you’re putting every single item of clothing on one drying load, you could be wasting a lot of money on energy costs, unless they’re all the same type of material (unlikely). Therefore, sorting your clothes correctly for the dryer can save you time and money.